Dice Recordings Music are proud to present the highly anticipated brand new smash hit single released by Big Narstie entitled “How You Dance” featuring Shizzio & the legendary Panjabi MC!! 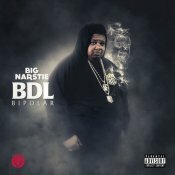 Taken from Big Narstie’s brand new album “BDL Bipolar” which is out now! !